Every once in a while you download some code and fire up your Visual Studio and find out that this particular solution was once associated to a team foundation server you don’t know or have a login to. Like when you download source code from CodePlex and you get this “Please type in your username+password for this CodePlex Team Foundation Server”. Or maybe you’re working on your companies team foundation server and you want to put some code out in the public. 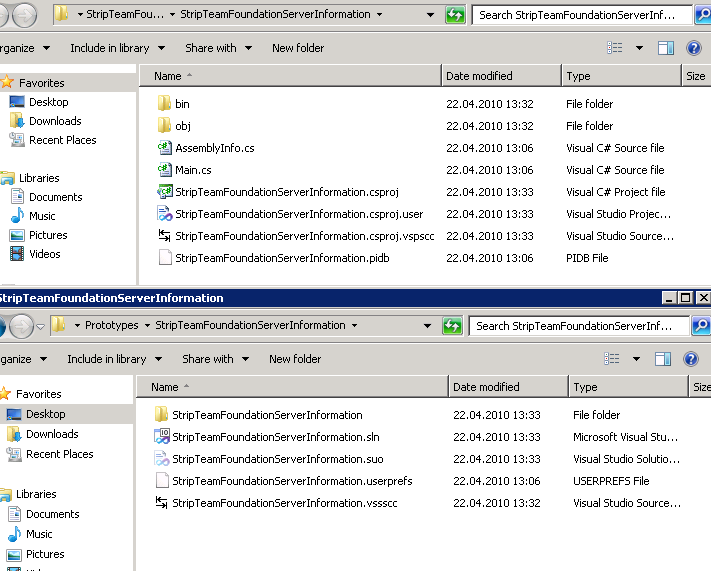 You surely want to get rid of these Team Foundation Server bindings. There’s a fairly complicated way in Visual Studio to do this but since I was able to produce unforseen side effects I do not recommend it. 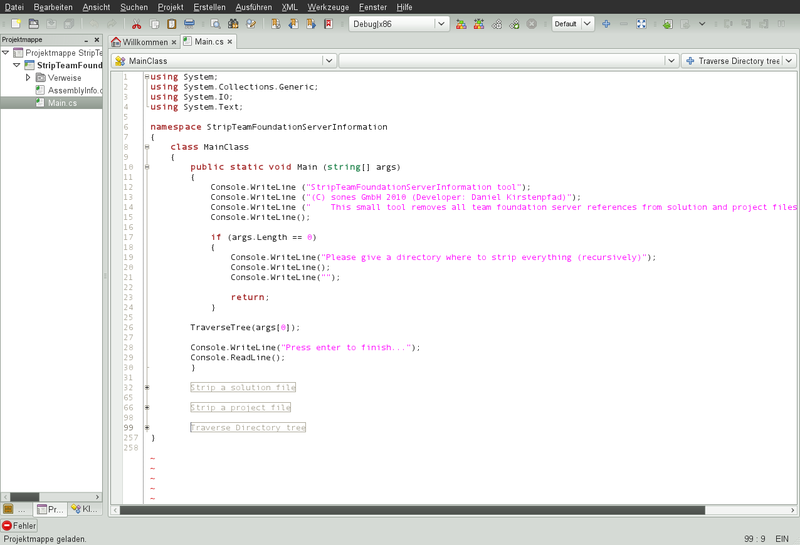 So what I did was looking into those files a Visual Studio Solution and Project consists of. And I found that there are really just a few files that hold those association information. As you can see in the picture below there are several files side by side to the .sln and .csproj files – like that .vssscc and .vspscc file. 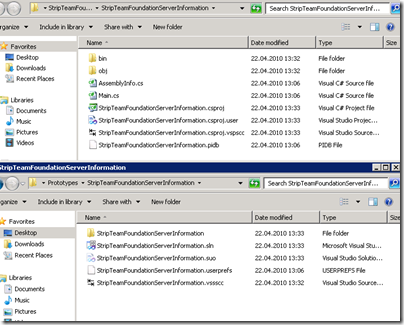 Even inside the .csproj and .sln file there are hints that lead to the team foundation server – so obviously besides removing some files a tool would have to edit some files to remove the tfs association. So I wrote such a tool and I am going release it’s source code just beneath this article. Have fun with it. It compiles with Visual Studio and even Mono Xbuild – actually I wrote it with Monodevelop on Linux ;) Multi-platform galore! 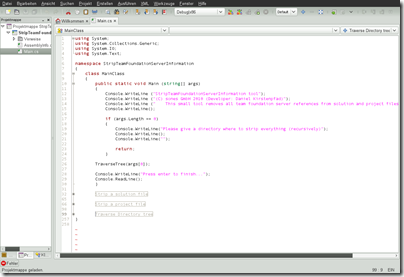 Who would have thought of that in the founding days of the .NET platform? 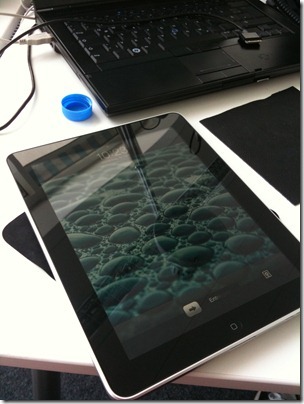 So this is easy – this small tool runs on command line and takes one parameter. This parameter is the path to a folder you want to traverse and remove all team foundation server associations in. So normally I take a check-out folder and run the tool on that folder and all its subfolders to remove all associations.